Expectations from the Christian clergy? 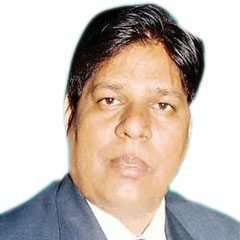 The sad incident of Sajid Masih has jostled the Christian community and the heat of this incident was felt by the Christian clergy who remained in the torpid state for the last seven decades. In democracies, protesting on the roads against the aggression of governments or other non-government groups is considered to be a civic right, but it is the countries with real democracies that take even a small group of protesters seriously. During the last few years, attacks against minorities on the pretext of blasphemy have increase drastically. Minority rights were never even on the agenda of political leaders who never addressed the issues of persecution of minorities. For them, it is a non-issue. It is only by the virtue of social media that such incidents have started gaining more attention. Similarly, the case of Sajid Masih did not get reported by the mainstream media. It was the social media from where the mainstream electronic and print media picked up the news. Even after the news made it to the mainstream media, the government did not take any action. However, there is a serious restlessness in the Christian community; the intensity of it could be understood to see the Christian clergy protests in Lahore and other cities of Pakistan. Apparently, this reaction is more symbolic than the reality because the Clergy has a huge following to bring thousands and thousands of people on the road to show solidarity with Sajid and to compel the government to revisit its policies over the social treatment to minorities. Merely showcasing their symbolic support is not enough, they have several other options to strongly oppose or condemn the ever-increasing Christian persecution in Pakistan. Mobilizing masses is the best technique, alongside, organizing press conferences, meeting with the Chief Minister and Prime Minister of Pakistan are several options to think and act. 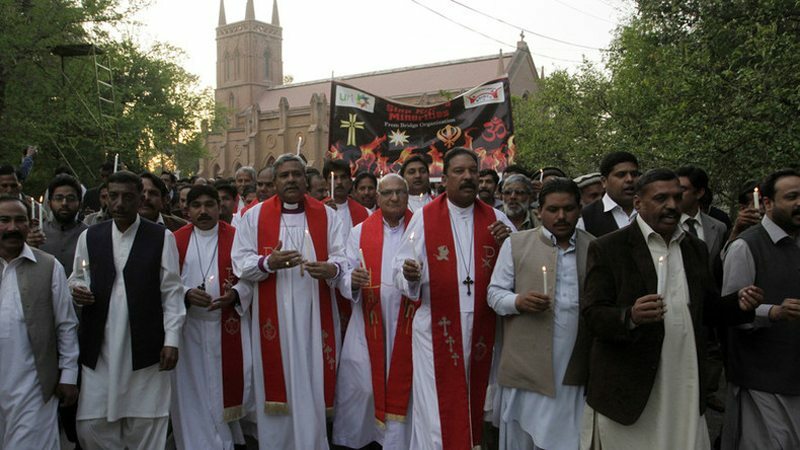 The bishops from the Church of Pakistan and the Catholic Church of Pakistan are highly regarded in the Christian world. Most of them are very well connected to the Church of England and the Holy See. The irresponsible behaviour of the Christian clergy is one of the reasons for the increasing Christian persecution in the country. They were not ready to come out of their dugouts of comfort zones. Any of those, on seat Bishops, never ever spoke against blasphemy laws and its massive misuse. Already in one my articles, I have suggested the Clergy lead from the front. The marginalized Christian community has no strength to oppose the strongest Islamic fundamentalist forces in the country. In the month of February only, two major incidents; Patras-Sajid blasphemy and blasphemy case against six Christians in Faisalabad have once again troubled the entire community. The factor must not be ignored by the Christian community that their so-called political representatives have no mandate to speak for them but on certain issues, these members are used by the government to snub the community. In 2015, against the Local Bodies Ordinance of the Punjab Government, the Catholic Bishop of Lahore and his companions were snubbed by Tahir Khalil Sindhu, the Provincial Human Rights Minister of Punjab for they were protesting against the ordinance as a discriminatory document against religious minorities. In the case of Sajid Masih, this PMLN Christian minister could not express his feeling over this inhumane tragic incident. Equally, Kamran Michael, a blue-eyed devotee of PMLN has no courage to speak for the community he believes to represent in the national assembly as well as the Senate of Pakistan. Religious minorities in Pakistan are the simplest form of the social fabric, unaware of the political moves, intrigues and conspiracies. If common Christians are asked a simple question that who was the best leader of the country, probably the answer would favour the last military dictator. Since 2008, with the emergence of the civil democracy, religious minorities faced serious difficulties for their survival. The PPP government in 2008 to 2013 and now the PMLN government completely refuted legislations introduced by the military ruler, except one; the selection system of minorities’ representation in the legislative assemblies. In 2015, the Supreme Court of Pakistan dismissed all petitions against 18th and 21st amendments but against the petition of J Salik, some Judges of the Apex Court gave their mandatory observations to fill the National Assemblies minorities’ seat through the direct election. However, the Supreme Courts’ recommendations were completely ignored by the government mainly because of the vested interests of ‘the selected’ minorities’ parliamentarians. Over the years, the fact has been proved that during the times of distress, these parliamentarians do not stand with their respective communities. i) To call an interdenominational conference to form a joint strategy to tackle the menace of social discrimination against minorities. ii) The enhancing of its inter-faith harmony scope in coordination with learned Muslim clerics to stress on common religious doctrines found in various faiths so to ensure better tolerance level in the society. iii) The formation of an action committee of Bishops/priests to respond quickly if any incident like Sajid Masih occurs in the community. iv) A common media house to speak for minorities rights which will help the clergy as well minorities to highlight the issues with responsibility and also to train congregations to use social media avoiding controversial and religious post, news and images which later put them in trouble. v) A specially powered group of people to meet with the heads of all major political parties to convince them for the grant of socio-political rights, especially the right to elect political leaders with the vote via direct election. vi) To seriously plan to negotiate with the government and other stakeholders to discuss the massive abuse of blasphemy laws and the solution and the clergy could be the best leader for this sensitive issue. vii) Community development programmes for the congregations. A hundred years before, the Church was the sole factor for the congregations’ development. After partition, because of massive legislation against religious minorities, the clergy was pushed back into monasteries. Now it is time for the Church leaders to come out of their comfort zone and protect their miserable congregations. Although the clergy protested to support Sajid Masih, this is not enough, all those real Christian leaders should work hand in hand for the restoration of their community. Do not delay, do it now, if not now then never! Published in Daily Times, March 6th 2018.